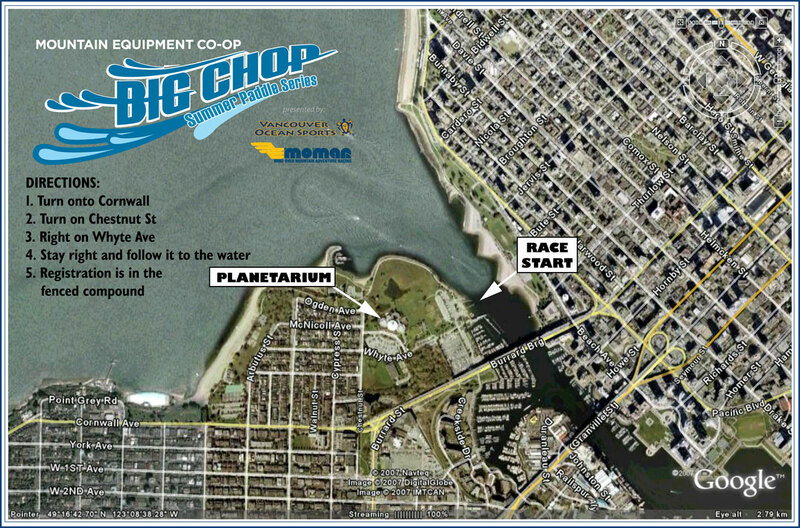 The Big Chop is an incredibly fun night of paddling on the waters of Vancouver harbour. Line up on the start line under the Burrard Street Bridge with the setting sun in your face and the warm summer breeze on your back. Paddle the scenic course as fast as you want and in no time you'll be crossing the finish line with a big smile on your face. Be sure to stay for a cold drink, a tasty hotdog or veggie burger and for your chance to win some amazing draw prizes! Who comes out? The Big Chop encourages participation by all levels of paddlers. Beginners (even first timers) can take on the Little Chop (half the distance) while more ambitious paddlers can tackle the full course. When is it? Every second Thursday starting on April 19, 2018, and ending on Thursday, August 23, 2018. When time does it start? 8:30pm - Awards and Post Race Social featuring free hot dogs, drinks and snacks for all participants! Located behind the JS MacMillian Planetarium close to the water. Meter parking in effect. Or ride your bike and lock it up at the compound. What kind of boat can I paddle? To register for any of the Big Chop races, you simply come on race night and pay on-site. Click here to purchase your Series Pass. Boat rentals are available. We have single and double kayaks, paddleboards, and a canoe in the rental fleet. To book, please email rentals@bigchop.ca with your name, boat preference, which course you are doing (little 4km or big 8km). The cost is $10 for a single kayak or SUP and $25 for a double kayak or canoe. We take rental reservations starting at 9pm of the previous race night. First come, first serve, except for Series Passholders (see below). Also, kayaks are limited to up to two single kayaks or one double kayak per person. 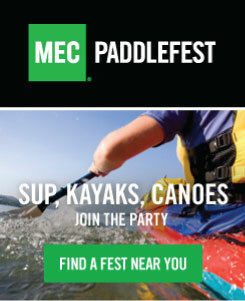 MEC is offering introductory clinics before every Big Chop race for all newbie paddlers. The MEC staff will show you the basics of sea kayaking to give you confidence on the water. There is a $15 reservation fee and you must reserve your spot in advance by registering online at http://events.mec.ca/find-an-event (search for the Big Chop). Please book early as space is limited and does book up quickly. Results & Photos: Go to the Big Chop's Facebook page for photos from each race. Results will be posted on the WebScorer website within 24 hours of the race. Stick around for our infamous Big Chop BBQ featuring hot dogs, veggie burgers, lemonade, chips and cookies. It's all included with your race fee! We'll draw for prizes and recognize the top paddlers in each category. It's a great night of mingling with your fellow paddlers. Everyone welcome! Every night we'll draw for some amazing prizes from our sponsors. We'll post the full list of prizes as they are confirmed. Stay tuned! Each racer must be able to be self sufficient. Each racer must have the ability to do a wet exit and recovery with-out assistance. Each racer must offer assistance to another racer in need or they are capsized. This is for fun. Let’s play nice and be safe. PFD’s / Lifejackets must be on the body or attached to boat. If not on the body, you must have a boat leash. NO exceptions! No flipping other racers or playing dirty. Inside boat in the turn has the right of way when they are at least 20% ahead of the outside boat. Outside boat must give way and not hit the boat on the inside if they are in front. Race smart, do not leave to big a gap or someone will fill it for you. Racing shells will get damaged by a recreational canoe if a collision occurs. Know Your Limits. If the weather or water conditions change and you are not comfortable please turn back. See rule number one. Safety boats are there for everyone’s safety. There is a lead boat and trailing boat. If you need assistance, wave your paddle in the air and yell for help. Know the course. Each racer must know where to go. If the lead boat is called to the aid of another racer, each racer must know where the course route is. To be credited with the finish a racer must do the full course. Respect. This is a fun event and please be respectful of staff, volunteers and other racers. If there is an error or problem, let’s work it out. Keep the positive attitude. We are in Vancouver on the water… How much better can it be? Copyright © 2014 Mind Over Mountain Event Co. All right reserved.